The Silent Command System Vol. 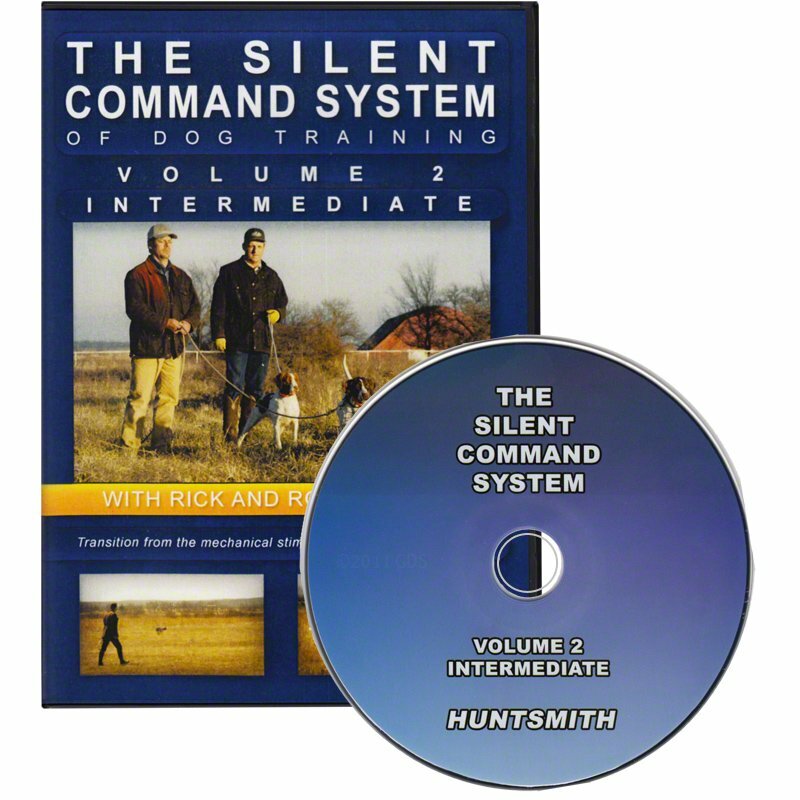 2: Intermediate with Rick and Ronnie Smith DVD. $39.95. "Love this DVD! It was a long time coming, but worth the wait!" Love this DVD! It was a long time coming, but worth the wait! This whole series of DVD's are the best on the market in my opinion. The vol. 2 DVD ties in the puppy and foundation series. If you follow this system and spend time training with your dog everyday you WILL have a hunting companion that you will be proud of for many years to come! Very informative. Every one that uses an E- coller needs to watch this video. Transition from the command lead to an e-collar smoothly using the foundation training your dog already has. 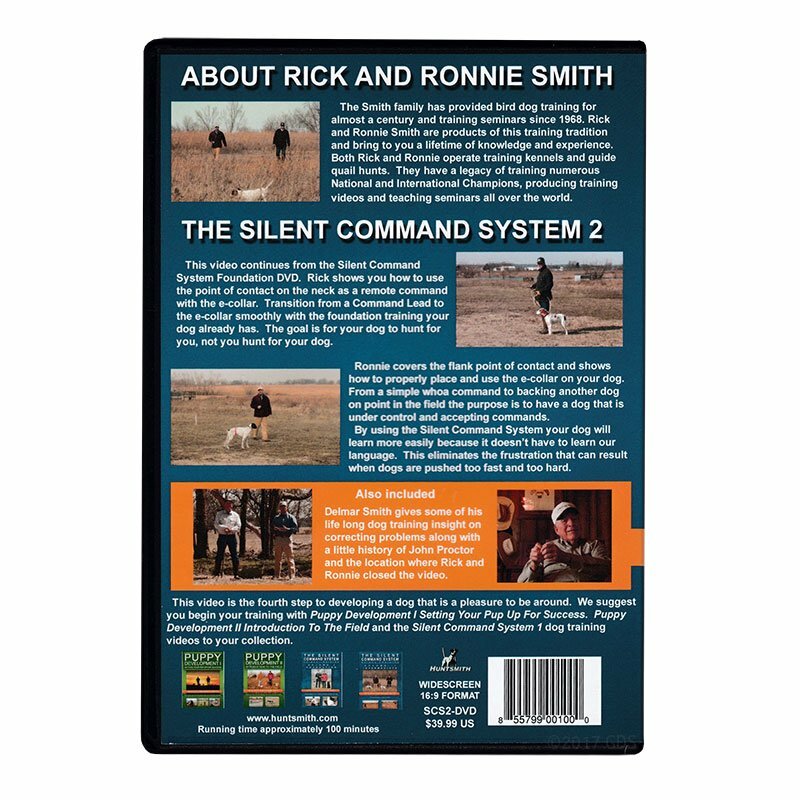 The Silent Command System Volume 2 also includes Delmar Smith giving some of his life long dog training insight on correcting problems, along with a little history of John Proctor and the location where Rick and Ronnie closed this video.